Home remodeling made FUN! Yes, I said FUN. Let me take the headache out of Remodeling & Home Design. I'll be your consistent contact, whether your in town, half way across the USA or in Canada. We together will create your Dream Home or Rental. I believe in "Follow-up", "Quality" & "Commitment". Extra Bonus: All trade discounts are passed onto my clients. 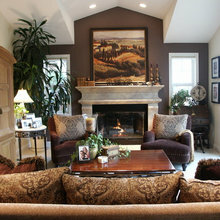 Tuscan to Contemporary to Desert Causal 35 Years of Home Design & Remodeling. Sometimes the stars align. 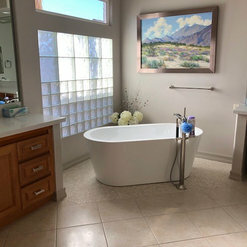 Kevin was recommended by a neighbour as 'the guy' to remodel our vacation home in Palm Desert. He WAS the guy. Kevin is a consumate professional, a stickler for detail, a great communicator with a team of trades who work with him always. 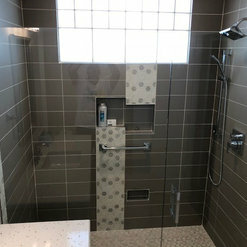 This reno was done without us seeing the project once. We were in Canada. Communication was key. Photos were sent daily during the project. Accounting was sent every week. His suggestions were always bang on. Not often do you meet people who do what they say they are going to do, on time, on budget with no complications. You cannot go wrong by hiring Kevin and his team. 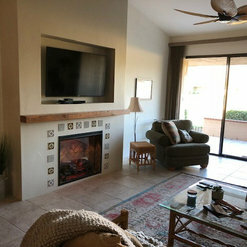 Kevin Morganti ( KJM Design ) completed the remodel of our 2000 SF condo in Palm Desert. The project took 3.5 months at a cost of $240,000. He was first class from the outset. 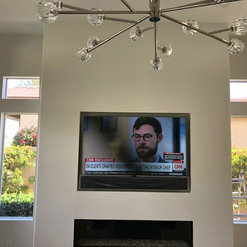 Kevin came up with great design suggestions , had all the contacts to select appliances , furniture, accessories , and selected a terrific construction company. The project was completed ahead of schedule and on budget. Kevin's attention to detail, and weekly project summaries were second to none. 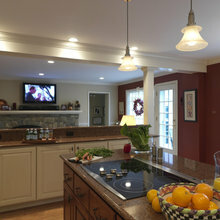 We would 100% absolutely recommend KJM Design for your remodeling projects. 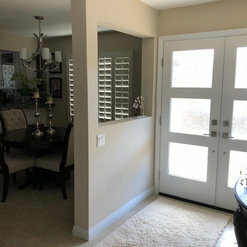 Kevin was recommended to us by our next door neighbors here in Rancho Mirage and when it was time for us to remodel we contacted him for advice. After meeting with him several times we asked him to do our remodel. 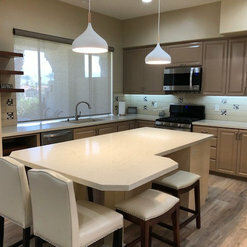 Our condo was built in 1975 and was very tired and dated so we decided to do a complete redo including complete renovation of 2 bathrooms, a kitchen, new tile floors and major upgrades to our lighting and electrical system. Kevin was able to see our vision and help us with all aspects of the construction from start to finish. He helped us push the limits of our comfort level and designed a wonderful project that we never could have imagined on our own. 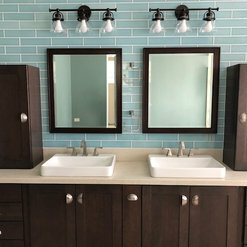 He shopped with us and guided us in all our selections from paint color to tile to appliances and all bathroom and kitchen fixtures as well as window coverings. 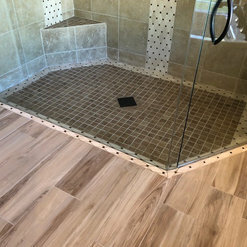 He did a wonderful job start to finish, Kevin is very organized and kept the project moving throughout the construction which was completed in 7 weeks. We are now back in our house and love everything about it. I highly recommend Kevin to anyone who needs design help or complete turn key construction. We could not have managed without him. Kevin was our designer and project manager for remodeling our rental home in Palm Desert California during the summer/fall of 2013. 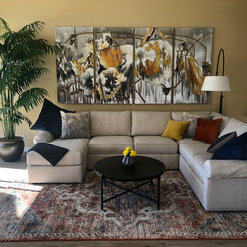 Kevin made the entire process simple, smooth and fun as we went from our initial ideas, looking at options, having the changes made to the house followed by the fun part of shopping for furniture. When we saw the final product we were blown away with the overall effect. 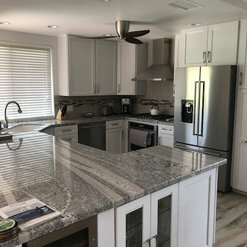 We wanted to make the house feel lighter and fresher with a limited budget, and Kevin was able to strike a wonderful balance between significant changes to open up the areas and minor touches to make the completed project really pop. 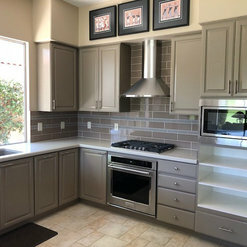 The significant changes were opening up a wall to improve flow and provide a lighter feel, smoothing the textured ceilings, modernizing the kitchen with a simple tile change, wonderful choice of paint colors and as well as helping us choose furniture, the accents that Kevin added really make the house look like a designer house. In total, Kevin added a designer feel to the kitchen, dining room, family room, office, 2 bedrooms, master bedroom and master bathroom. Kevin provided a turnkey solution for us, which was important given that we live a long distance away. Once the project was completed, we had a house that was fully ready to rent both in appearance and all the essentials needed for a renter to feel comfortable in the house. We have received compliments from everybody who has seen the house and renters have been very happy with the design and flow of the house. We followed this up with a second design project for the outside of the house using Kevin's services. This was a relatively simple makeover to provide a more relaxed feeling for people staying at the house. To achieve this, Kevin helped choose some relatively inexpensive furniture and layout ideas, that added both functionality and comfort. 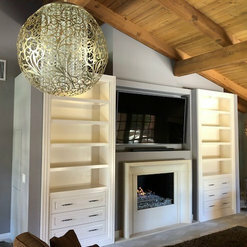 I would highly recommend Kevin's design services to anybody looking for a professional and fun remodel. Working with Kevin was such a pleasure! 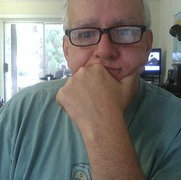 Kevin is a fabulous designer, able to easily visualize design concepts for the glass application. 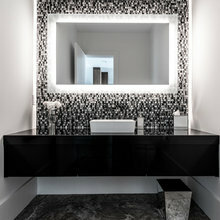 The design we did for this project was so beautiful! Creating just the right effect and privacy his client needed for the area. We look forward to working with Kevin on future projects! We bought a fixer-upper and gave Kevin only 21 days to remove popcorn ceiling, retile, paint, carpet and all electrical. He accomplished this in only 17 days. He had all of the contractors lined up ahead of time and everything went as scheduled. He was here to supervise all along the process and took nothing for granted, He did a great job for us. The extra bonus you get is he's so fun to work and shop with. We now consider him our friend and will be using him to finish up our house.